Database Recovery is the process of restoring the database and the data to a consistent state. This may include restoring lost data up to the point of the event (e.g. system crash). Two approaches can be used to Recover i.e Manual Reprocessing and Automated Recovery. Dealing with the IT professionals and technology users there is an enormous outcry of database data loss due to very many reasons like corrupt files and damaged data-bank physically. 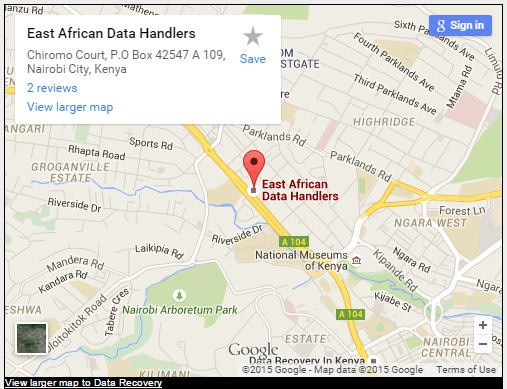 East African Data Handlers Database Recovery experts have perfected the art of recovering lost database files and also the ones classified as inaccessible. We are happy and felt the trust by our numerous clients who we have offered world first class database recovery services. Microsoft Visual FoxPro DBF Database. The hardware device being damaged: The Loss of this Data happens at your storage level of your device example are in RAID, hard disk and SAN. The device system files damaged: Your device O.S ( operating system ) which controls your database filing system storage and any user account files. The Device Personal files damaged: A data loss within an individual internal file structure system as a result of corruption. East African Data Handlers Database Recovery service, carry out a pre-service database recovery Evaluation which help our clients identify what part of database data they will recover even before they make any decision for the go ahead of database recovery service by our experts. Database files that are out of reach. Database files that are corrupted, termed as missing or deleted. What to do when experiencing database data loss and need database recovery. Do not temper with any hardware damaged part of the database device. Do not attempt to carry out the database recovery process with any software utility you are not sure of. Bring the device to our experts at East Africa Data Handlers to do the database recovery for as we can guarantee you of our quality service.